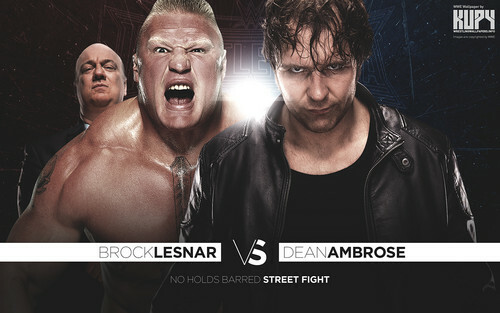 Wrestlemania 32 - Brock Lesnar vs Dean Ambrose. . HD Wallpaper and background images in the WWE club tagged: photo brock lesnar paul heyman dean ambrose. This WWE wallpaper might contain sign, poster, text, chalkboard, hunk, portrait, headshot, and closeup.